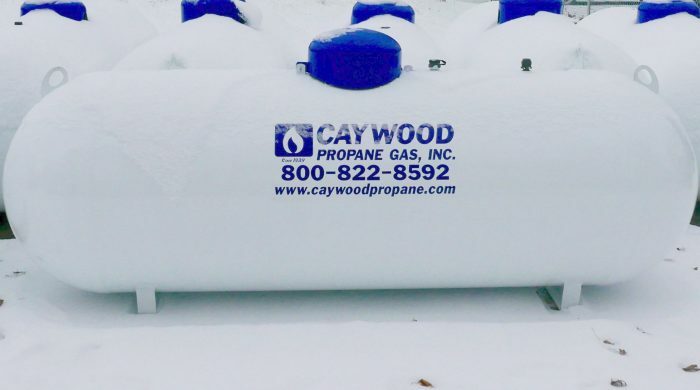 Chris Caywood, of Caywood Propane, shares how his propane heating company fully embraced tank monitoring technology to increase his average deliveries as he continues to build a fully integrated propane company. With a former career running a large division of a publicly traded company, Chris used his business experience and knowledge as a third generation fuel marketer to develop incredible insights on how to use and implement tank monitors. The following interview was conducted by Richard Goldberg, President of Warm Thoughts Communications, on behalf of Angus Monitoring Service. Richard: I’m here with Chris Caywood of Caywood Propane Gas talking about innovation, tank monitors and building a propane company fully integrated with the future. Chris, it’s great to have you with us. Chris: Thanks Rich, it’s good to be here. Richard: Can you tell us a little about your company and background? Chris: Our company basically covers the lower half of the lower peninsula of Michigan and parts of northern Ohio. With the exception of a few areas, it’s pretty rural. Richard: I know you are a family business. Are you second or third generation? Chris: Third generation. In the 1940s my grandfather purchased a fuel oil and gasoline business started by his brother back in the 1930s. His brother converted a blacksmith shop to retail gasoline because Model Ts were outnumbering horses. My parents similarly noticed that a lot of people were converting from fuel oil to propane, so they added propane as a product in 1984. My brother and I, the current owners, eliminated all petroleum and distillates in 2005 to focus solely on propane. Richard: Your personal background is pretty interesting. You stepped away from the company for a while. Richard: How did you attack that? Chris: We started making investments, which culminated in some really big moves this year. We put in a whole new back office system (Blue Cow.) We also added the tank monitors to enhance the smart route planning that we’re using. We not only want to go from point A to point B in the most efficient way, we also want to drop a lot of gas when we do stop. Richard: How else are you leveraging technology? Chris: We have a front-to-back system that begins on the customer-facing side with a web portal and our recently-released smartphone app. It goes all the way to the back end (service trucks and drivers) with barcoding and computerized meter reads. We have automated vendor scans of bills, I don’t even type general ledger entries much anymore. We’ve essentially automated as much as possible. Richard: That’s a lot of change in a very short time in an industry that typically doesn’t embrace change that fast. How did your employees react? Chris: We made a deliberate decision to rip the band aid off, rather than prolong the pain and did it all at once. It has challenged the patience of my team. They’re a great team. They’re open-minded, but even though they’re in Michigan, they’re sort of from Missouri. They have a bit of a “show me” attitude. At the same time, I think people feel good about seeing us invest in the company’s future. Richard: What were some of the things that you found particularly helpful in moving this from a strategic idea to dealing with some of the issues that actually came up? Chris: The biggest thing that was helpful was transparency with the team. We started the process of talking about all these changes that were coming almost a year ago and involved the team in some of the important choices we were making. I stuck with a core message: We need to operate more efficiently than we have in the past; that it wasn’t because they were doing anything wrong. It was because the tools that we were not providing them did not appropriately support what we were trying to do. Richard: What about when there were hiccups? Chris: Before hand, we didn’t just talk about the benefits they could expect, but the problems also – because that’s part of what happens when you make big changes. The real trick is what you and your developer and provider do about it. In that regard, we’ve had a good experience, particularly with you guys and with Blue Cow, in working with us to make a challenging transition much less difficult. Richard: How did the deployment go? Chris: When it was time to move, we moved quickly. With the monitors, we installed 630 units in just 3 months. Richard: That’s a fast roll out for a small company, compared to how some other companies have tiptoed through this. What was your thinking about getting them out that fast? Chris: From my standpoint, rolling out 5 or 10 monitors at a time and seeing how it works was not going to be nearly the kind of learning experience as, “Hey, we’ve got 600 monitors live now. How are they working? How does that work with our smart route planning with Blue Cow’s Ignite software? What are the processes we need at scale to install them? How do we explain this to customers?” Those are things that we deliberately chose to do all at once with the idea that we’re identifying all the problems now in a much more compact period of time, and at a time when we could more easily address them, rather than the winter. Plus, we wanted to get the benefits as soon as possible. Richard: What have you seen so far? Chris: We’ve already seen the evidence that they are helping. For example, look at the month of August. Last winter, we averaged 228 gallons per delivery, and only 165 gallons per auto-fill delivery. During the month of October, we averaged 315 gallons per delivery. And the auto-fills were greater than 275. Richard: That’s similar to what we’re seeing at other companies. What about your employees? Chris: When you translate that into the everyday life of somebody on my team who has to drag about a hundred feet of hose over snow up to their knees, if not deeper, it means that they’re stopping about half to two-thirds as much to deliver more gallons. That’s less wear and tear on their body in the winter. It’s also going to be less wear and tear on the machinery and equipment. It’s going to deliver more gallons at lower cost, which makes the shareholders happy. Richard: Along those lines, do you have a target set for what you hope your average drops will be when you have maximum penetration? Chris: I’d like to get between 290 and 300 gallons per stop. I say “I’d like to” because that’s part of what we’re going to be learning, actually beginning now and throughout the month of October. As it gradually gets colder and we gradually build volumes, we’re going to find out if we start to fall behind on deliveries by targeting ticket creation at 30% with a target delivery of 20%. And we’ll adjust when we need to. Richard: Some companies ration their monitors to those customer tanks will yield the highest ROI. Other have taken the approach that, ” to create really significant change, I need to get these on as many tanks as possible.” Where do you fall in that sort of thinking? Chris: We fall into the latter bucket. We are putting a monitor on every auto-fill customer that has adequate cell phone or radio coverage. If you’re a customer of mine, and you’re on auto-fill, you’re going to get a monitor. Richard: Are you charging them for that? Chris: No, we’re not charging them. For the time being, it’s a cost that we think will much more than pay for itself. Richard: Are the monitors also part of your growth strategy? Chris: Your laugh is the perfect answer. Nobody does. You need to start with a strategy and a vision for differentiation. I wrote about that in a series of articles that were published in LP Gas. Ours differentiation is built around reliable, transparent, and value-priced service. Richard: How do the monitors play into that? Chris: Having a monitor is going to make us more reliable. Also, we have customers who are particularly sensitive to cost, so we have to streamline our operations to keep our prices in the range of affordability and still achieve an appropriate rate of return. Increasing our efficiency helps deliver both. And the customer’s going to be able to see the amount of fuel in their tank and access other useful information on their smartphone using our new app while watching a football game- that’s pretty transparent. Richard: Do you plan to use these monitors to retain more of your will call accounts as well? Chris: Oh, it’s on the radar. Right now, given the significance of the change we’ve made and how quickly we’ve done it, that’s probably going to be in our marketing plans for 2019. We absolutely intend to try to make these tools more widely available to all of our customers and to encourage it. Allowing customers to easily work with us in the way that they want to is a tremendous competitive advantage, particularly with younger people who grew up with smartphones. Richard: Chris, there lots of different options for monitors. What convinced you that Angus and their GREMLIN was the best choice for you? Chris: They were not the first company I talked to. I looked at information on almost two dozen companies. I saw a presentation by many additional companies, and I got the advice of my colleagues on my NPGA Benchmarking council. It was not done in isolation. Richard: What impressed you most about Angus? And they do it at what I’ll call a disruptive price, a price that allows a guy like me to deploy them broadly. They made it easy for me to say, “You know what? I’m not paying over all my savings to the monitor company. I get to keep some of it.” They offered this really terrific combination of things. Richard: Did you know any of the people at Angus? Chris: I knew Dave Montgomery. Dave Montgomery has an unbelievable reputation in the industry, particularly in the state of Michigan. I thought, “If a guy like Dave Montgomery is putting an Angus GREMLIN monitor on a tank, it’s got to be an incredible monitor.” Best of all, he’s got that street cred that really helps in the implementation stuff with my team. What they brought to the table was two things. They brought the best long-term technology options. Right now, a lot of what we’re doing is cellphone, but pretty soon, especially for some of our customers who have literally no cellphone coverage, and that’s about 3% to 5% of our customers, there’s some low-frequency radio technology that Angus and their partner are going to be rolling out. Richard: What has it been like since you made your decision to work with GREMLIN? Chris: The support has been exceptional. They really stepped in to take care of any issues we’ve had. Richard: Chris, as we bring this interview to a close, is there anything that you would advise your colleagues who are looking into this, or who have stuck their toes in the water just a bit, in terms of making this decision more clearly? Chris: Yes. I think it begins with what I mentioned earlier. You really do need to understand what your strategy and goals are. If you begin with that, and you work it into the decisions you’re going to make around the technology that’s going to support it, it’s going to make things clear. I think it begins with defining your strategy, your vision for your business, layering it down to what that means for your technology choices, and then layering that down into the specifics of those choices. Then the only thing I would say is if you can’t calculate the numbers clearly, get somebody who can help you analyze it. Earlier, I mentioned our average delivery. Well, our average delivery last winter was what it was because of my will-calls, of all things. It wasn’t my auto-fills, they were dragging the average down. Richard: Right, because your will-calls were actually pulling your average up. Your auto’s were much worse. Chris: Yeah. For us, an honest assessment of our performance and our opportunity for improvement was a really important component to the decision too. Chris: I guess the last thing I would say is if you don’t expect any issues when you decide to implement new technology, including monitors, don’t do it. Your expectations sadly will not be met because whenever you do something of any magnitude, it’s going to be a challenge. Everybody is going to struggle with change, including me. It’s not like this has been an easy road for me either. I know it’s the right thing to do. I see more and more every day how right it is, but that doesn’t mean it was all easy to implement. I think having a lot of patience, making sure you’re consistent with your strategy is key to success, as is having the right technology partners. Richard: Great, great stuff. Shaking things up in Michigan. Chris: We feel pretty good about it. Richard: Well, it sounds to me like you’re creating a company that well offer no good reason for anyone to look elsewhere. I am looking forward to monitoring the progress that you make with all this. Chris: Appreciate it. Thank you for the kind comments.